GHF Press is a division of Gifted Homeschoolers Forum. If you have any questions about our publications, including placing wholesale orders, please contact our Editor in Chief, Sarah J. Wilson. Our books are available throughout the world. 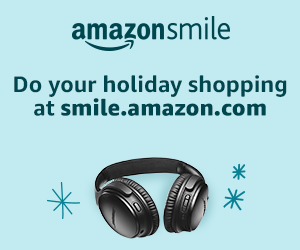 Find a complete list of Amazon links in or near your country. Please note that the books are currently only available in English. Kelly Hirt, a public school teacher with 25 years experience, outlines 12 strategies to design a supportive, safe, and encouraging learning environment for twice-exceptional students. Authors Corin Barsily Goodwin and Mika Gustavson, MFT discuss how to balance the emotional and academic needs of gifted and 2e children, their parents, and their families. When is life like a prize fight, a garden, and a quiz show, all hurtling down the road on an office chair, wrapped in song? When you’re living in the land of the gifted and twice exceptional! Ben Curran and Neil Wetherbee of Engaging Educators give you step-by-step instructions to get you started using technology in your learning experiences. Pamela Price busts myths about work and homeschool, shares some truths, and even provides sample schedules to help you get started. Celi Trépanier of Crushing Tall Poppies shares how traditional school views gifted and 2e students and her journey from a public school teacher to a homeschooling family. In her second book, Pamela Price addresses the emotional issue of bullying in the gifted and 2e community. She gives practical tips for dealing with the bullying and helping children become stronger and more compassionate. Corin Barsily Goodwin and Mika Gustavson show you how to find or create age and intellectually appropriate social opportunities for your child, helping your child discover the joy of true friendships based on common interests, shared values, and mutual understanding — while explaining your role in guiding them. Jade Rivera shares her experiences working in and starting micro-schools to inspire you to create personalized learning for the gifted and 2e students in your community! Wes Beach, author of Forging Paths: Beyond Traditional Schooling, shares stories of real people who have taken control of their learning and gone on to successful, fulfilling lives. He explains how to create your own transcripts and provides examples of actual transcripts that have been accepted at colleges and universities throughout the country. Paula Prober, MS, MEd, understands the diversity and complexity of minds like yours, explores the challenges faced by gifted adults of all ages, and will help you tap into your inner creativity, find peace, and discover the limitless potential that comes with your Rainforest Mind. Lori Dunlap of TeachYourOwn.org provides the information, strategies, and approaches college admissions professionals and homeschool applicants need to more easily and effectively understand and connect with each other, while working toward a successful admissions process.